[RUMOR]: ‘Justice League Dark’ Film to include Zatanna, Jason Blood, and Deadman? The Justice League Dark film, directed by Guillermo Del Toro and titled Dark Universe, has been shrouded in mystery since its announcement years ago. This movie–that may or may not be a part of the main DC Cinematic Universe–has barely gotten any publicity. The only thing we really know about it is that John Constantine will be a part of it. While I’m excited to see the awesome supernatural detective back on the big screen (remember the Keanu Reeves one? No? I don’t blame ya), I’ve been wondering who the rest of the League would be. Well today, thanks to a tweet from El Mayimbe of Latino Review, the rest of the JLD might have been revealed. According to the tweet, Zatanna, Deadman and Jason Blood will be joining the JLD roster alongside Constantine. While this is great news, it’s to be taken with a grain of salt as it is only a rumor. It’s important to know that these character reveal rumors only bring the roster up to four, which is not enough to really be considered a league. So, even if these rumors are true, expect more character reveals in the future! Some of these potential character reveals include Madame Xanadu, Frankenstein and Swamp Thing–the latter of which has been wildly speculated since the film was announced. Ladies and gentlemen, The Swamp Thing. Zatanna is a powerful magician. 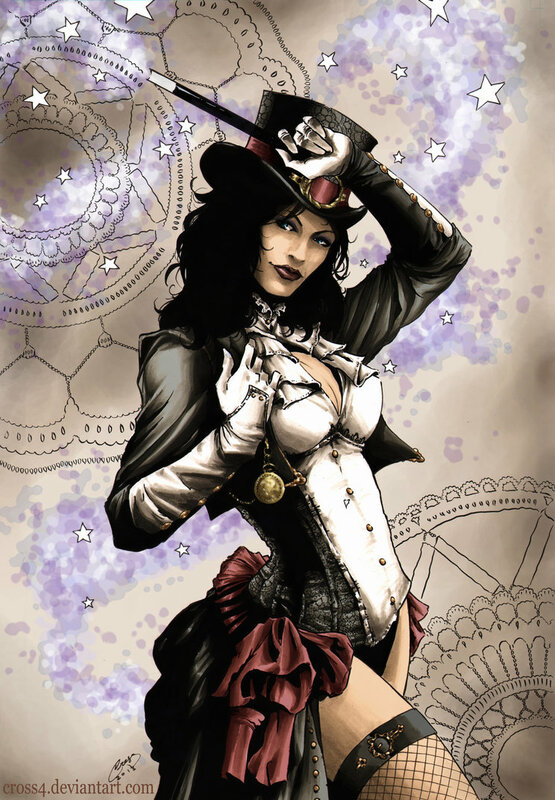 Daughter of John Zatara, Zatanna can perform powerful spells by speaking backwards. She’s a master of magic and combat! She’s the most notable of the JLD roster, as she has previously been a member of the Justice League of America and has aided the likes of Superman, Batman and Green Arrow a variety of times. She and John Constantine have some romantic chemistry that I’m hoping is carried into the film. 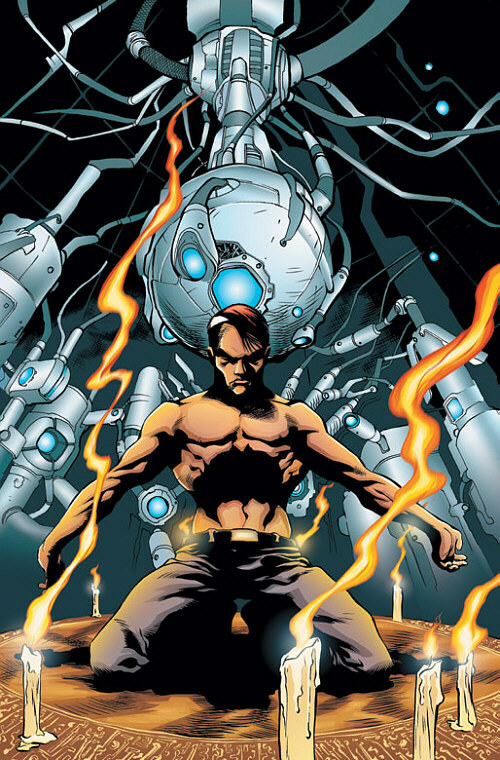 Boston Brand was an acrobat who, on one fateful day, was murdered by a member of the League of Assassins. Brand is turned into a spirit by the Hindu Goddess, Rama Kushna. 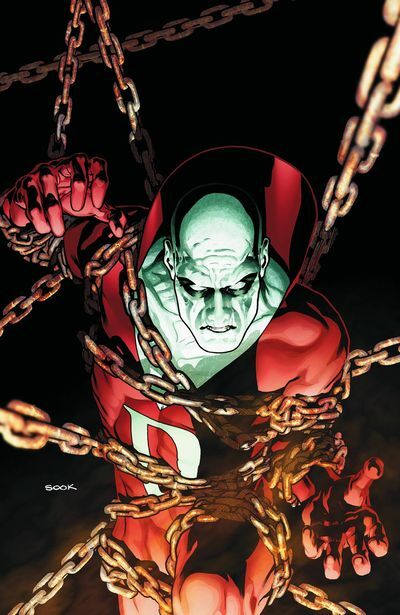 He became the superhero Deadman and uses his ghostly powers to punish those who commit evil and protect the innocent! I was hoping that Deadman would get his own film before being part of an ensemble movie, but maybe if Dark Universe does good, we’ll get an origin movie. Jason Blood was a nobleman of the 6th century, serving under King Arthur. The powerful wizard Merlin bonded Jason with a demon known as Etrigan in order to contain him. The two have been bonded for centuries, yet aren’t exactly the best of friends. But whenever Jason is in a jam, he allows Etrigan to come out and settle things! 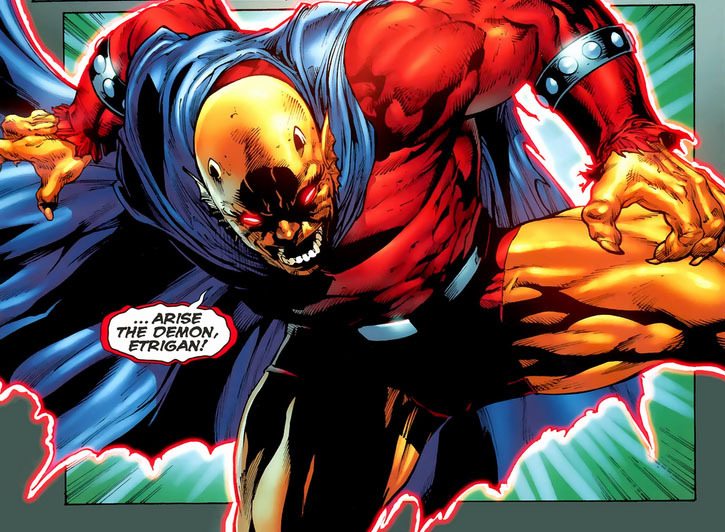 Etrigan. You may remember him from the Justice League episode. So remember, though it’s likely we’ll be seeing these guys when Dark Universe comes out, this is all still a rumor; so take it lightly. Tags: Constantine, DC, DC Cinematic Universe, DC Comics, Guillermo del Toro, John Constantine, Justice League Dark, Movies, Zatanna. Bookmark the permalink.